It is a wonder how many of us manage getting through the toxic food maze with all of the temptations and exposure we have to processed foodstuff. For instance, even while riding the METRO light rail a street salesman canvassed the train’s aisle and hawked everything from soda, gum, candy and even a tub of licorice red vines for sell, illustrating just how subjected we are to consume so much processed sugar. And although most doctors have yet to fairly share irrefutable proof that processed sugar is the major cause of type 2 diabetes, there is no doubt that processed sugar is a significant contributing cause. Routinely eating processed sugary-filled items is giving the body the wrong kind of calories. Consuming processed sugars, especially fructose, literally programs the body to create and store unhealthy fat. Indicative of the high exposure to processed sugar and fat show how diabolical food manufacturers are in their attempt to feed America by participating against the grain of health, and even going so far as to mask the appearance of being a processed sugar-laden foodstuff. Check out the comparison of an obvious sugary-filled item to other more hidden items. The following nine foods all have more processed sugar than a typical Krispy Kreme doughnut that contains 10 grams of sugar, while 1.) Luna bar has 11 grams; 2.) Grande Starbucks latte has 17 grams; 3.) Subway 6″ sweet onion teriyaki chicken sandwich has 17 grams; 4.) Tropicana orange juice, 8 ounces has 22 grams; 5.) Yoplait original yogurt has 27 grams; 6.) Vitamin Water, 20 ounces has 33 grams; 7.) Sprinkles red velvet cupcake has 45 grams; 8.) California Pizza Kitchen Thai chicken salad has 45 grams; and 9.) Odwalla superfood smoothie, 12 ounces has 50 grams of processed sugar. The numbers continue to rise where at the beginning of the year more than 26 million Americans were known to have diabetes, and more critical is that an additional 7 million do not know they have this seriously comprising disease. Bear in mind that in the year 1958, (my 1st grade time at South Park Elementary sited on Manchester and Avalon Boulevards), the number of USA citizens diagnosed with diabetes was 1.5 million, which without question places the current situation into an epidemic range. Consequently, stay sugar alert and reduce or eliminate sugary foodstuff. In total, soft drinks represent approximately 33% of the processed sugar added to foodstuff, candy comprises 16%, cakes, cookies, pastries and pies 13%, fruit drinks 10%, dairy desserts and milk products (ice cream, sweetened yogurt and sweetened milk 9%, and other grain-based products (cinnamon toast and honey-nut waffles) 7%. 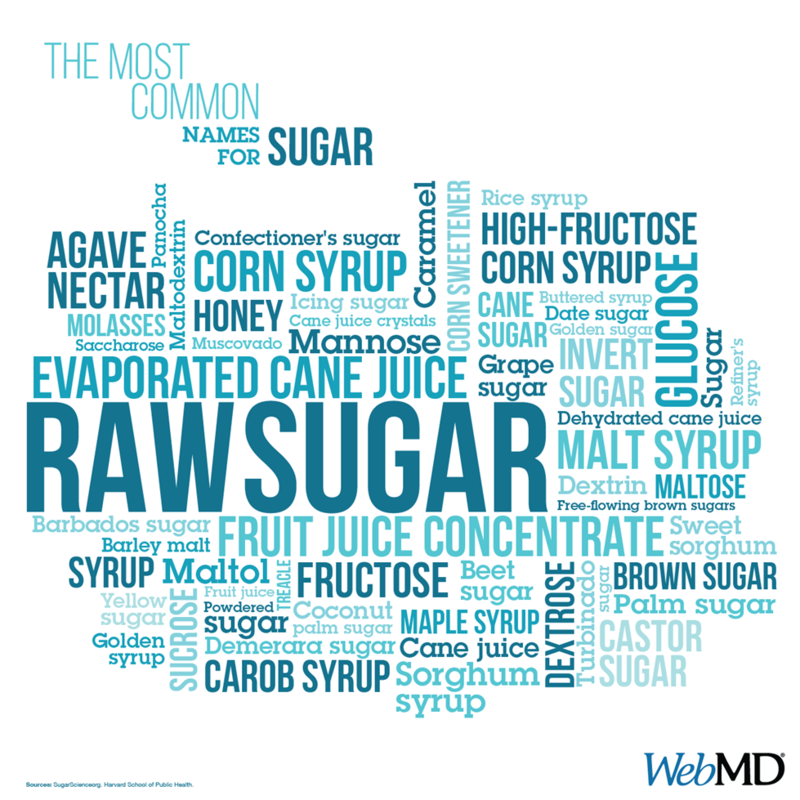 Moreover, look closely behind the processed food veil where sugariness shows up in foodstuff including, but is not limited to, ketchup, tomato sauce, granola bars, salad dressing, canned and dried fruit.